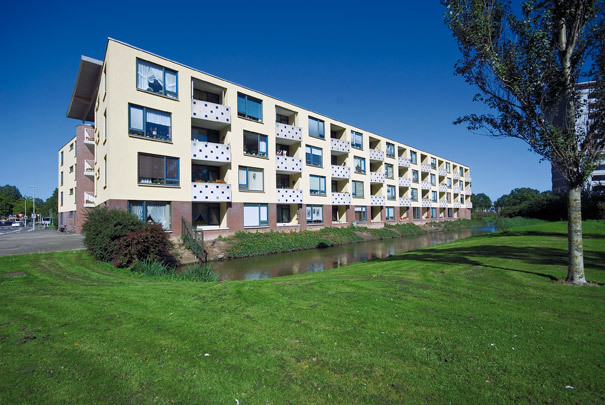 This energy-saving communal housing block of environmentally-friendly construction for over-55s has dwelling units laid out in two four-storey rows. The space between the two rows is roofed and designed as an atrium or buffer zone, along which are galleries accessing all units. Containing a subtropical garden, the atrium sports a curved steel roof resting on laminated pinewood joists. The strips between the curved roof and the roofs of the dwelling units are fully glazed, as are the two ends of the atrium.